Meqasa.com are proud hosts to Ghana’s biggest housing fairs which are held each year. The previous housing fairs have been held at the International Conference Centre, Aviation Social Centre and the Ghana Home loans parking space (in partnership with Ghana Home Loans). The turnout for the housing fairs has been very impressive, which has necessitated another housing fair in a continued effort to offset the country’s housing deficit. This year’s fair is dubbed the “meqasa Home & Property Fair 2019” which will be held at the Silver Star Tower in Accra on the 6th and 7th of April. 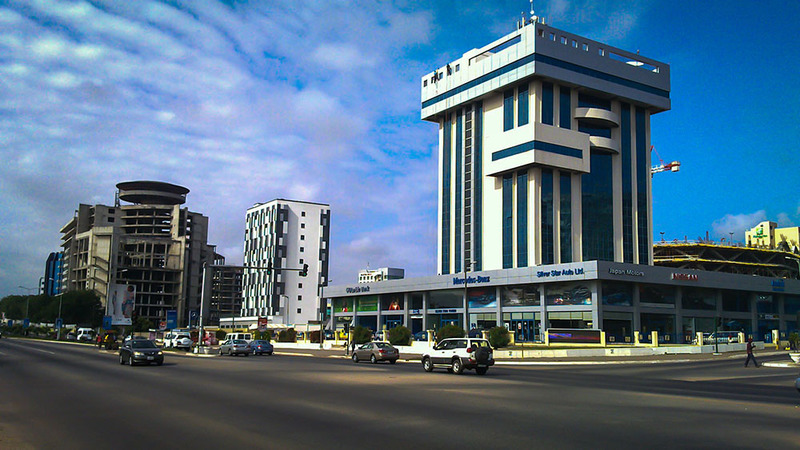 The Silver Star Tower is located in Airport City on the Liberation Road in Accra. Airport City is one of Ghana’s finest and bustling cities which boasts of many businesses having their headquarters in the area. It also has a high concentration of expatriates and tourists who may be in the country for business or pleasure. The Silver Star Tower was completed in October 2005 but did not begin operations until April 2006. The Tower is an impressive ten-story building that contributes to Accra’s Skyline. Considering that Accra does not boast of many high-towering buildings, the Silver Star Tower is a breakthrough in that regard. The Silver Star Tower is arguably the best office complex in Accra and a top business rendezvous point. Its cardinal location makes it very ideal to attract potential clients. It has housed over a dozen of the city’s most successful businesses such as Silver Star Auto which is the general distributor of Mercedes-Benz in Ghana. It first started out as a Real Estate Developer and Property Management before metamorphosing into an ultra-modern building which accommodates several offices of both local and international companies including two banking halls (Stanbic and Ecobank), vehicle showrooms (Mercedez Benz, Nissan) and a cafeteria. Silver Star Tower also boasts of an ample space for parking which is also sometimes used as grounds to hold events. The Tower is arguably the most ideal and convenient place in the uptown side of Accra to situate a company’s headquarters. It also offers the most conducive environment for work. Meqasa chose the Silver Star Tower as the most ideal location to host this year’s housing fair. The housing fair is an excellent platform to choose from properties that are up for sale by real estate developers. These properties often come at a discount during property fairs. There will also be seminar sessions at the meqasa Home and Property Fair 2019 that tackle insightful and instructive real estate topics to keep you abreast with current trends and demands in the market. The seminars are held by top industry experts with a wealth of experience you can tap into.